It’s been many years since we’ve seen Tom Hanks and Ron Howard together making a movie based on a Dan Brown novel, but if you’ve been desperately waiting for that day to come again, you don’t need to wait too much longer. Hanks will be reprising his role as symbologist Robert Langdon once again in Inferno and the first trailer has just been released. Check it out. 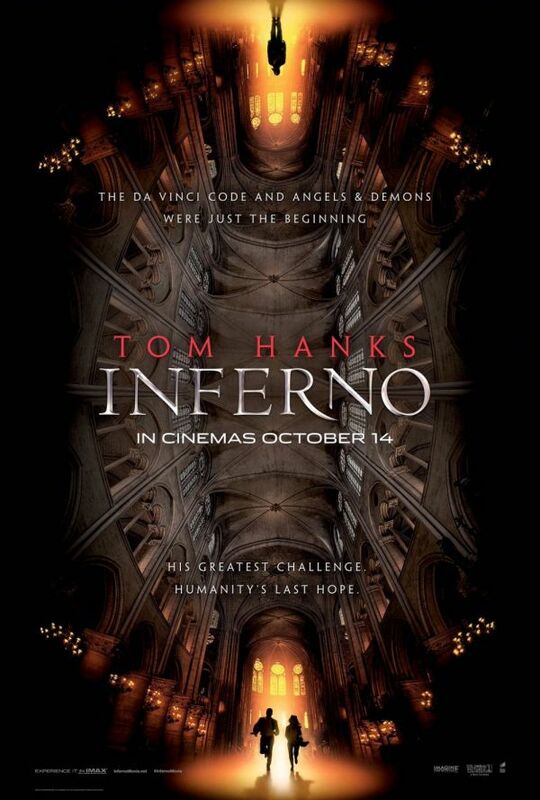 For those of us not intimately familiar with the novel, but generally familiar with Dan Brown’s formula, Inferno looks to be switching things up a bit. Rather than trying to solve an ancient mystery, this time, Robert Langdon is dealing with a much more modern problem that is tied to Dante’s Inferno in some way. Of course, as an expert on all thing ancient, only Robert Langdon can save the day. There’s a catch however, Langon has a minor case of amnesia and has no idea how or why he ended up in Florence, Italy. Apparently, the reason wasn’t simply because it’s beautiful. In 2006 Tom Hanks took the lead role in The Da Vinci Code. The book was a phenomenon a decade ago and so the film adaptation was a forgone conclusion. The film version was such a success that Hanks and director Ron Howard went back and made a sequel to the movie based on Dan Brown’s previous book Angels & Demons. That movie was not nearly the smash of its predecessor, but the global box office made it a success nonetheless. It will be interesting to see whether these several years away from the character have made movie fans hunger for more, or forget the story entirely. In addition to the trailer, Sony also released a couple of movie posters. This time, Felicity Jones will be along for the ride. She plays a doctor who Langon hopes will be able to help him recover his missing memories. As Inferno is set for a late October release, it will be hitting screens just in time for the public to get to know the actress a little better before she takes over the world starring in Rogue One: A Star Wars Story. What do you think of theInferno trailer? Does it make you want to jump back into the world of historical mystery with Tom Hanks? Let us know in the comments.